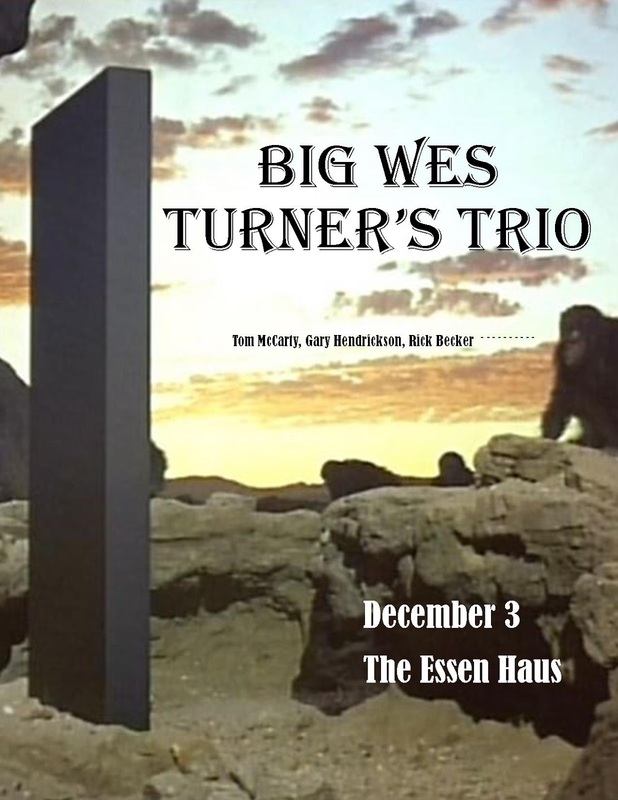 Tomorrow night Big Wes Turner’s Trio plays the first of two post-Thanksgiving and pre-Christmas Thursdays at The Essen Haus (Dec.3 and 17). That means as many Holiday tunes as we can squeeze out, or squeeze in (depends on your perspective). Dec. 12, Faux Fawn participates in the Wintersong (fundraiser for Second Harvest) at the Barrymore. A worthy and wonderful event. Dec. 17, the above-mentioned BWT3 Essen Haus holiday extravaganza. Dec. 31, wringing in the NY with The Cash Box Kings at the Crystal Corner.